Phoenix is commonly known for having only three seasons: cool (Winter), perfect(Fall and Spring), and unbearably hot (Summer). This one of a kind climate makes Phoenix one of the premier destinations for Snowbirds who want to escape the frigid winters in the midwest and, unfortunately, for thriving termite colonies as well. 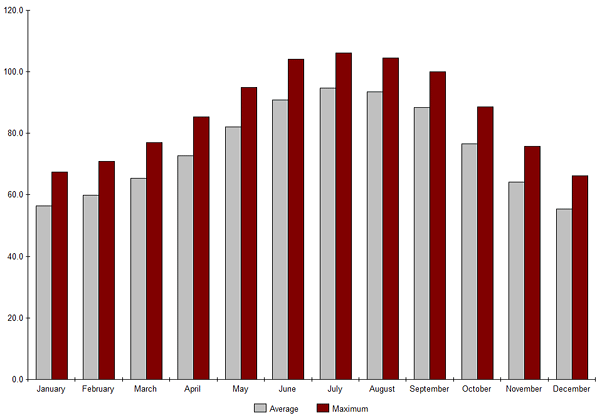 Average Temperatures in Phoenix, AZ by Month. Does Cold Weather Keep Termites From Multiplying? The answer to this questions is twofold. Yes, colder weather in general does keep termites that are outside your home in hibernation mode so they are not reproducing. No, this won’t keep termites that are already nested inside your home from doing just as much damage as they would in the warm summer months. Termites do prefer a temperature of about 75 degrees to 95 degrees to do their worst damage, which your Phoenix home is probably kept at all winter long. Is It Still Important To Treat for Termites in the Winter in Phoenix? As stated above, it is just as important to control a termite problem in the winter here in Phoenix as it is at any other time of year! Here are three main reasons why. If they have already found a safe place in your home, the weather won’t be a factor. That awesome woodpile you have accumulated all summer in your background could easily become a breeding ground for termites by winter. Another common termite haven is large paper collections such as stacks of newspaper or magazines. If you have had an infestation of termites in the past, year round inspection and treatment is the best remedy. Termites are resilient. Termites are able to survive a lot and they can mate even in the winter here in Phoenix because of the relatively warm temperatures. The subterranean termites are the trickiest to control because they live underground and it is sometimes hard to pinpoint where they are coming from. If your home hasn’t been treated in a while these termites could be coming back inside soon. 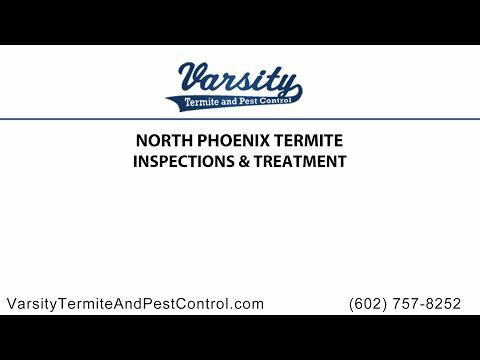 Get a free termite inspection in Phoenix today from Varsity Termite and Pest Control! Contact us today at 602-757-8252. Our team of profession exterminators would be glad to help with any questions or concerns you may have! We specialize with our service of treatment and removal of termites in Phoenix.